Terpene is a word that’s been popping up more and more often at cannabis dispensaries. But what exactly are they, and how do they affect me and you. The simplest answer? Terpenes are what gives cannabis it’s signature smells and flavours. When people say that an indica produces a couch lock high, and sativa produces an energetic high, this all has to do with the different terpenes found in the plant. These terpenes are believed to do more than just influence the smell and taste of cannabis. Terpenes in cannabis can also affect your high. When people say that an indica produces a couch lock high, and sativa produces an energetic high, this all has to do with the different terpenes found in the plant. Terpenes are essential oils released by the cannabis plant, and there are over a hundred different types. Each one can have a distinct smell or taste. Different strains will have there own unique terpenes, for example the funky diesel smell of sour diesel or the berry smell of a blueberry kush. Cannabis, like many other plants, evolved terpenes to help protect itself from predators and attract pollinators. There are several factors that affect how many terpenes are released by a cannabis plants. These factors include growing condition, light schedule, nutrients in the soil, age, and even how much wind is hitting a plant. As I said before these terpenes are produced as a reaction to outside stimuli. 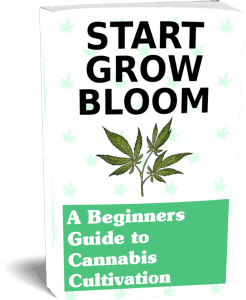 Using this knowledge for growing your own cannabis can have a drastic affect on the taste and smell of your crop. But I’ll expand on those details further below. In the last few decades, cannabis has been bred to contain the maximum levels of THC. Other cannibanoids like CBD have fallen to the wayside because for so long they were trying to create super “powerful” product. Because of prohibition there has been more research about the different cannanibanoids and how they affect the brain. Like cannibanoids, terpenes also bind with receptor in your brain to produce different effects. These affects range from euphoria, energy, sleepiness, stress relief and many others. Besides affecting your “high” they also have various medical properties. The two most common medical properties that come from terpenes are anti-inflammatory (reduces swelling) and analgesic (pain relief). Another thing to note is that terpenes vaporize at different temperatures. If you’ve ever vaped before you might be aware of the heat settings that you can adjust. By vaporizing cannabis at lower and higher setting you can receive benefits from different terpenes in your bud. Some terpenes will burn up quickly in a joint or spliff and loose some or all affect. So now that your aware of terpenes and how they work, how can you get more of them from your plants? As I mentioned earlier in this article, terpene production can be affected by outside conditions. In reaction to this stimuli, cannabis releases terpenes to protect itself from stress. Lightly stressing your plants is the most common way to increase terpene production. A word of caution though, stressing your plants too much may kill them. Always start slow with these techniques as to not damage your plant. Here are few techniques to maximize your terpene production. Low stress training is a method of slowly bending your plants over time. This allows more air and light to reach more of your plant. It will help produce more buds over time. Terpenes are produced by the bud, so more buds means more terpenes. Removing leaves during flowering (defoliation) will stress your plant, as well as allow more light and air to your buds, maximizing growth. Start slow with this one, some strains don’t react well to having too many leaves remove at once. Start by removing a few lower leaves and watch how the plant reacts. Damaging a few leaves can also produce a safe amount of stress on your plants. Lower leaves that are not utilizing much light can be torn, the tips cut, or crumpled up. Too much nitrogen will slow down bud production, during flowering you should always use a full NPK fertilizer with low amounts of nitrogen. Reefertilizer Bloom fertilizer is perfect for this purpose. It contains very low amounts of nitrogen to help overall growth. It also contains a nice dose of phosphorus, potassium and many micro nutrients that are super beneficial to bud growth. As your buds mature, they will produce more and more terpenes. 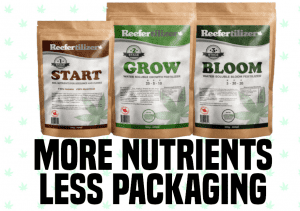 Give them all the nutrients they can use to maximize yield and terpene production. During the flowering stage, make sure the temperature of your grow room stays below 26 degrees celsius. Some terpenes are volatile and may evaporate at higher temperature. Also make sure that when the lights are of, that you maintain a temperature 5 degrees cooler than you would in the day cycle. Plenty of beginner growers like to take a shortcut around harvest ( I know I did when I first started). All that time spent growing and now you have to wait another few months?!? Well properly drying your bud by doing it nice and slow will help preserve the smell and taste of terpenes. Curing your bud will help excess nutrients and chemicals in your bud break down. Ever try smoking non cured cannabis? the taste is rather harsh and without much flavour. After curing, your terpenes will really make an impact on the smoking or vaping experience. If your trying to increase terpenes, then curing properly is absolutely necessary. The most common terpene in cannabis. It is also known as the “couch-lock” terpene for its highly-sedative effects. It can also be found in mango, thyme, and lemongrass. Common in citrus and peppermint, it is highly-energetic and a known anti-depressant. A smokey or woody aroma that is slightly sedative, antioxidant, anti-cancer and antibacterial. It can also be found in lilac flower, apples and nutmeg. Gastroprotective and a strong anti-inflammatory with a woody, peppery taste. It can be found in black pepper and cinnamon. Energetic and therapeutic, this terpene is commonly found in pine needles, rosemary, and basil. This one is a strong anti-inflammatory agent and a hunger-suppressent it’s also found in hops and coriander.